"Stories of love from the heart of the city". 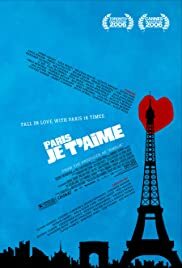 Olivier Assayas, Gus Van Sant, Wes Craven and Alfonso Cuaron are among the 20 distinguished directors who contribute to this collection of 18 stories, each exploring a different aspect of Parisian life. The colourful characters in this drama include a pair of mimes, a husband trying to chose between his wife and his lover, and a married man who turns to a prostitute for advice.